Clinical Reproductive Medicine and Surgery is the new, definitive resource in reproductive medicine. 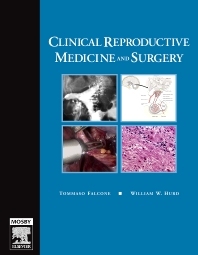 This unique text offers detailed discussion on both the medical and surgical management of reproductive disorders, as well as coverage of associated imaging modalities. Included are chapters on Reproductive Genetics, Management of Endometriosis (including interventional radiology), Ultrasonography and Sonohysterography, Preservation of Fertility, and Recurrent Pregnancy Loss. The book also features an accompanying DVD with additional images and video loops. A resource every practitioner interested in Reproductive Endocrinology and Infertility needs!